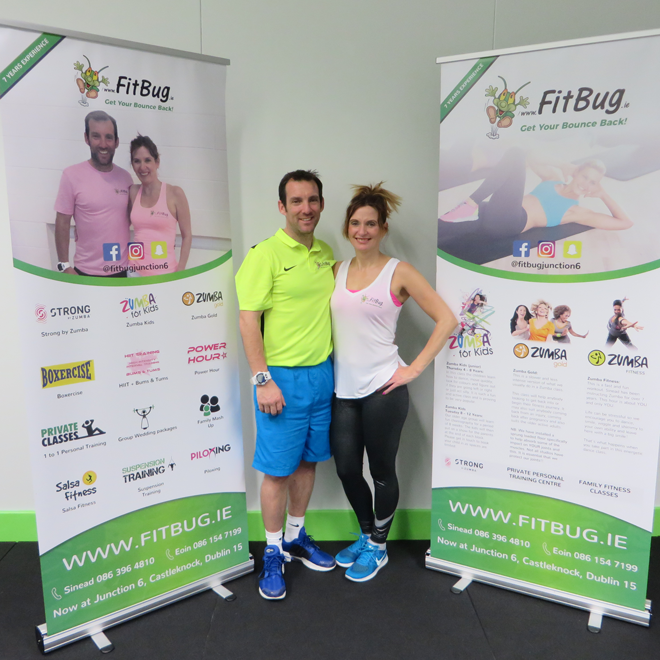 Welcome to Fitbug fitness studio located at Junction 6 Castleknock, Ireland’s premier health and leisure village. At Fitbug, we want you to “Get your bounce back” in our studio. We offer over 30 classes per week for both adults and children. We believe fitness should be fun, energetic and you should want to come to us. Do you like to dance? Join us for Zumba, Piloxing or Salsa. Do you like to tone up? Join us for Power Hour or Suspension Training. Do you like to push yourself to the max? Join us for HIIT or Disco Spin? We offer a drop in rate or unlimited monthly membership.